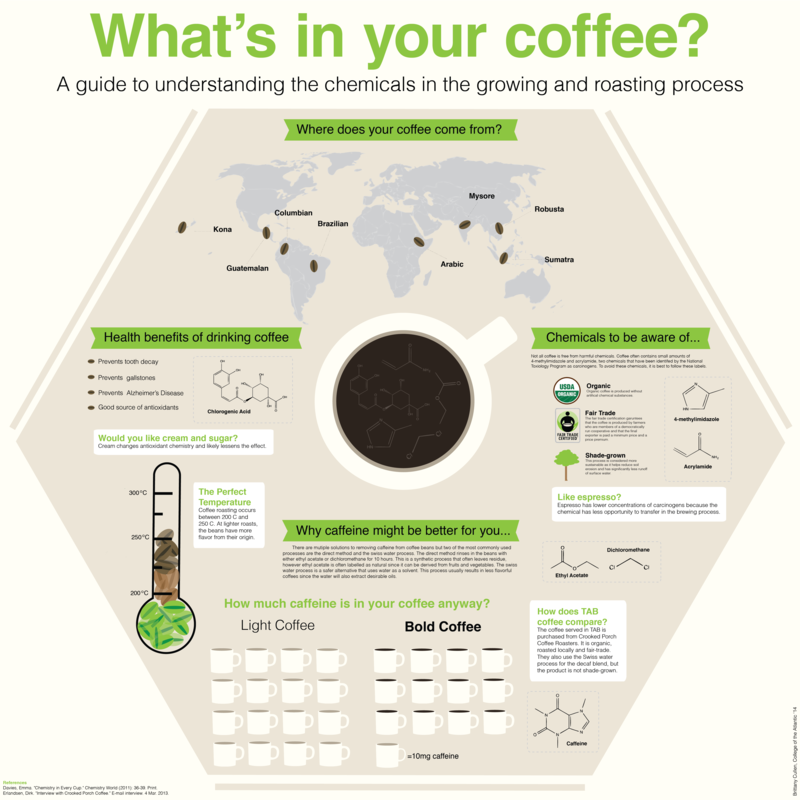 Science-y but Simple: What's in your coffee? Each month we scour the web for interesting coffee finds to share with you. This month, we came across this simple but interesting infographic about what's going on in your cup of coffee! Topics of address include the health benefits of drinking coffee, chemicals to be aware of, and why caffeine might be better for you, to name a few. What we like about this infographic is that there is a little more of a scientific focus and minimalist organization of information. Take a look!